I would like to thank user “some1” for loaning me out his set of TF10’s and cables! His a truly stellar man; In fact I have, in the past bought 4 pair of Monoprice 8320’s from him! If you are actually interested in buying the 8320’s (best bang-for-buck earphones) then give me a shout, and I’ll forward you his email or send him a PM if you are a head-fier! That said, my value rating is based on stock cable + if you were to buy them new – at the price “some1” paid, I’de give them a 10/10 for value. 1. This will be a shortened, briefer review, in comparison to my other earphone reviews – as I only received the earphone (driver/housing) and 3 sets of wires, with no tips nor accessories, so I wouldn’t want to really comment on them that much, but looking at other reviews, and having my experience with some other UE products, I will come to brief conclusions of the packaging, and accessories. 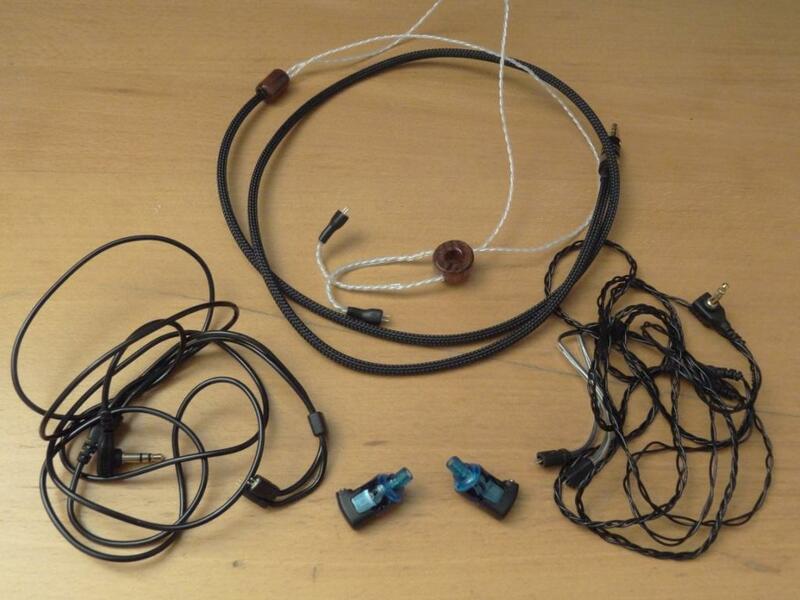 -I will be basing this on the STOCK cable, thus microphonics, build quality, look etc, will be based on the stock cable. However I will mention the other cables as well, throughout the review. -In the Sound Quality section, I will try to explain the differences between the cables audio capabilities and downsides. The packaging (as seen on picture) of the UE TF10’s is simplistic, and nothing out the ordinary – It seems like UE took the simplistic approach, which I find quite normal – nothing like the RedGiant packaging, and nothing over-the-top like the Monster packaging – that said, possibly some people would be disappointed by the packaging, due to the reasonably high value of these earphones; realistically I doubt it, but you never know! The accessories provided are again on the average side, nothing out the ordinary is provided here – which is in some respects a let down, as there are hardly any “extras” given for the TF10’s over the Metro fi 220’s for example – a huge price difference nonetheless. It would have been better if UE offered a little extra for its “premium” customers. My overall first impressions are good, although the size of the earphones was worryingly large, and got me thinking about the fit, as soon as I got them in my hands. 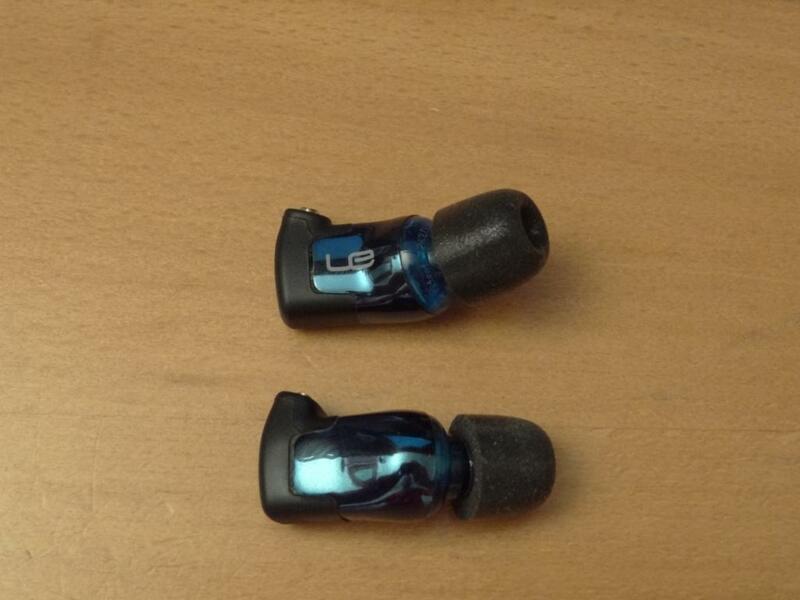 The build quality of the UE TF10’s is excellent, from the cable to the earphones themselves. The cable feels nice, and sturdy, nothing that would break easily. The strain relief by the jack I found was quite good, and the jack itself is terminated by a 3.5mm jack, which is L shaped and gold plated. The wire itself (stock cable) is built to last. When you pick up the cable you feel that this is a sturdy looking and feeling cable, that won’t be easily torn to pieces after years of use. 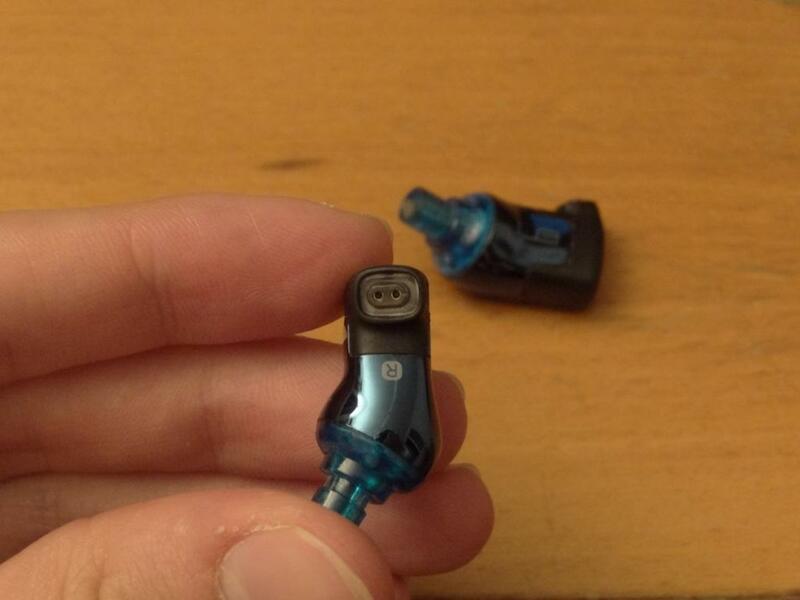 The main thing I felt was a little hit and miss was the connectors on the earphones, for the wire connection. It felt that the connectors might be the most susceptible in breaking or becoming loose. That said, I had no problems, and could see that there didn’t seem to be any apparent problems with the current connectors. The ES8’s cable felt nice and flexible. Due to its braiding, it meant it was a much more flexible cable, and one that also coincidentally got tabled easier. The build quality on this wire was good, but I felt that the braiding, as it was a very “loose” braiding, meant that it could become a problem in the future. I can’t comment on how old the actual cable is, but from looking at it, it’s still in good condition, but seems to be a little “loose” for a custom braided cable. Almost like the braiding wants to come loose, and go its own way. The Silver Ray Cable was a love/hate relationship on build quality. Despite it being nice looking, and the main wire being built to survive WW3, with a jack that is probably made out of a bullet itself, the braided part of the wire was a little too “tangle-prone” and often got looped. More so, the big chunky wood pieces meant that the wire wasn’t that convenient to carry around. I did feel the cable was properly made, but possibly just not to my taste. 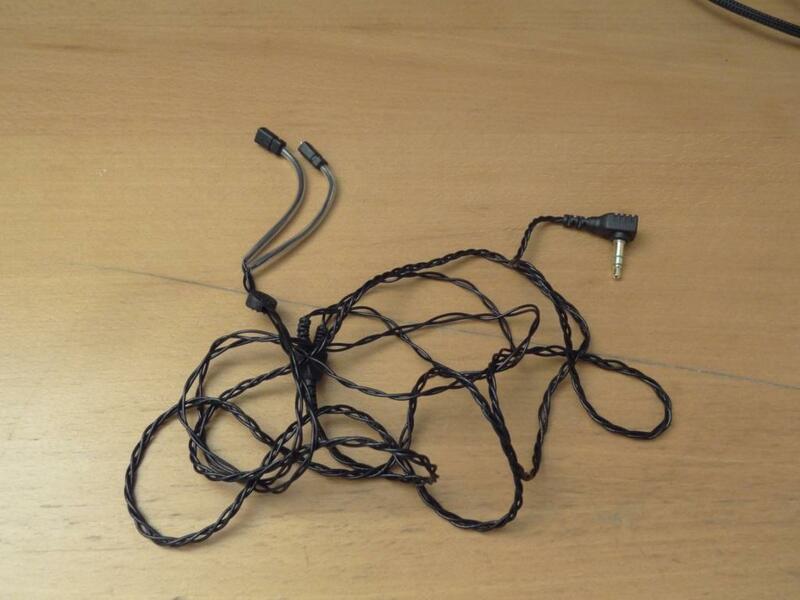 I don’t know how this custom cable can be modified by the user, or if it’s a cable that’s given as it is, with no customisation options, but if it were me, I wouldn’t have picked that combination, especially not for a portable rig setup. The ES8, was almost like a stock cable, but imagine it was a modded stock cable – that’s the way I saw it – it had almost no microphonics either. The Silver Ray Cable, however, due to it’s cable, cable management (wood) – meant that it did emit some microphonics. Although, it’s nothing terrible, nor bad, but in comparison to the stock/ES8 cable, I preferred not using this one on the move. The look of the TF10’s in all honesty is a little hideous. 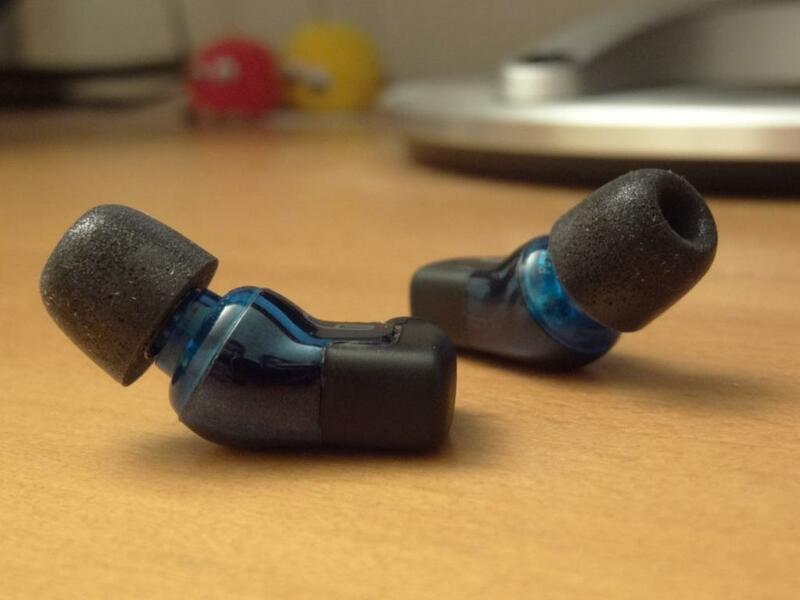 It’s huge, it’s blue, it’s the UE TF10’s! That said, if you ever wanted to go to a Halloween party, you’de be set as Frankenstein without a single problem. These not only look huge in your ears, but also stick out quite a bit. 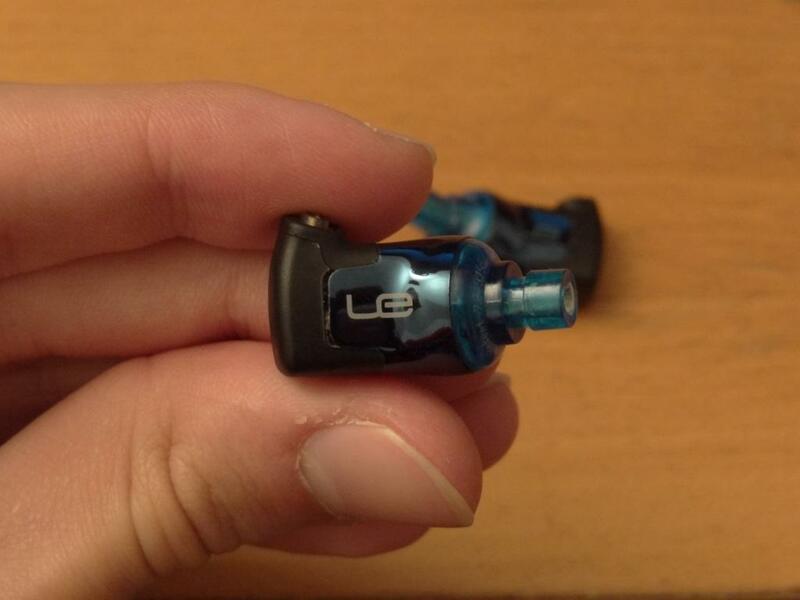 Before reviewing the UE TF10’s I made several remarks of these earphones on forums, and got flamed for saying these wouldn’t be my pick for cycling. “I stand by it, I guarantee it; They don’t know it, even if they don’t know me any more than the chairman at General Mills” A quote taken from the film American Gangster, and a quote I often like hearing (notably at the end of Jay-Z’s Blue Magic song) – I stand behind what I said, and can fully assure myself that these are by far the worst earphone I’ve ever had or demoed for cycling, sports, or anything that requires any activity (asides walking). As these stick out quite a bit, you get quite a bit of wind noise, and more so, if one was a physicist, one could say the drag in high-wind speeds by cause one to slow down…not a bad assumption, if you ask me haha! Anyway, the point I’m trying to make is, these are certainly not the earphones I would choose for any sports, just simply due to their design, that said comfort is another thing…which I’ll get to in just a second! The isolation of these was surprisingly good. 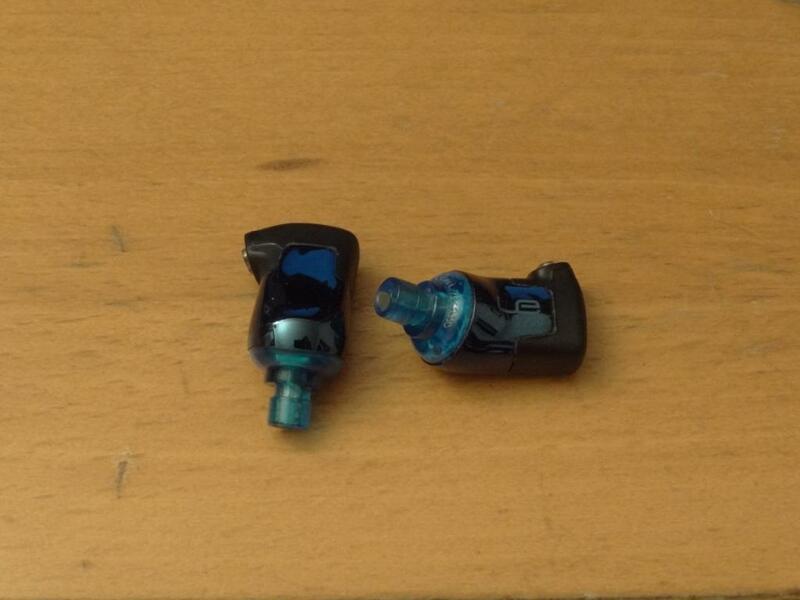 That said I was using them with the awesome Comply Foam tips – more specifically my TX-500’s I had lying around. 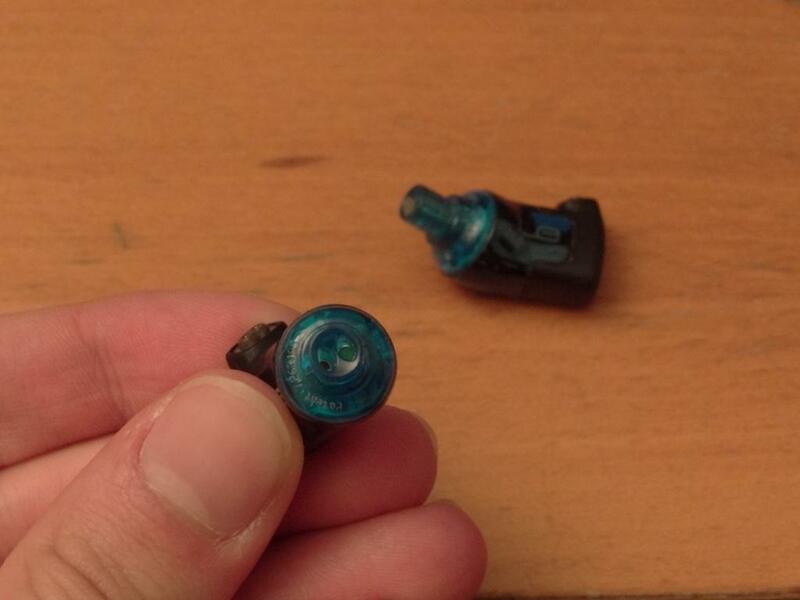 With the Comply tips, and it’s insertion type, I felt the isolation was quite good. 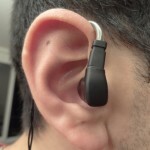 Of course, not great, as it doesn’t “cover” your ear like the Se535’s or ASG-1’s nor go deep in your ear like the Dunu’s for example, but they do a great job, nonetheless! Now the comfort…where to start, and how to phrase it….simple: If you get a fit, your fine, if you don’t you’re indefinitely “screwed”. I got a fit after around 10minutes of fiddling around with the stock cable. The memory cable, which goes around your ear, was a little tiresome, and in fact absolutely loved the weaker memory cable, that was offered with the ES8 cable. 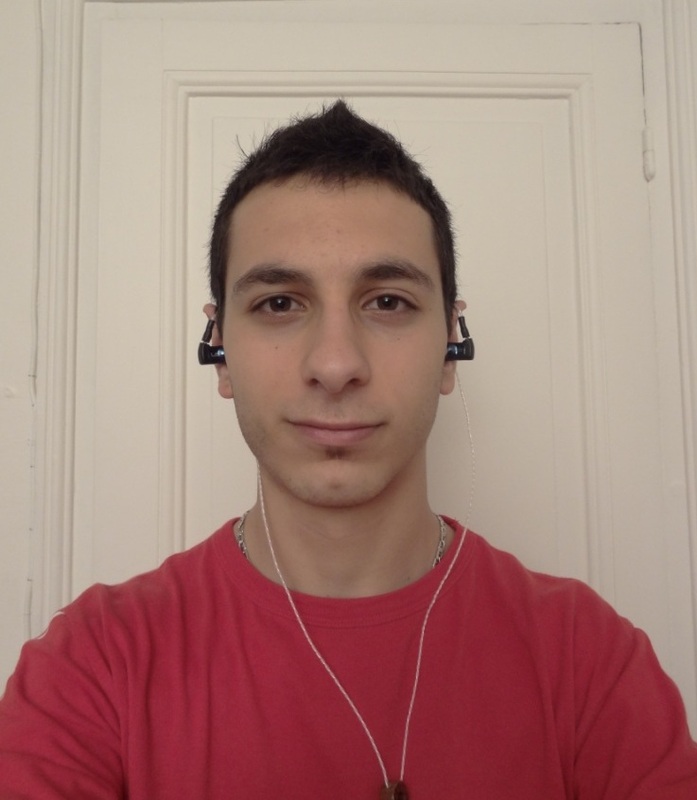 Once you get the fit right, and get the earphones looping around your ears, the TF10’s go in and sit quite well. 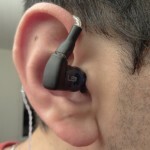 They don’t budge (although again I don’t know about that wind theorem…), so overall, the comfort was good, but this can REALLY depend on your ear size, and your ear canal. Usually earphones are generally easy to fit, but this was the second most “painful” fitting earphones I’ve ever had to deal with. The title of the worst fit for me, goes to the ASG-1’s, then these, and then due to the extension cable, the Denon C751’s. 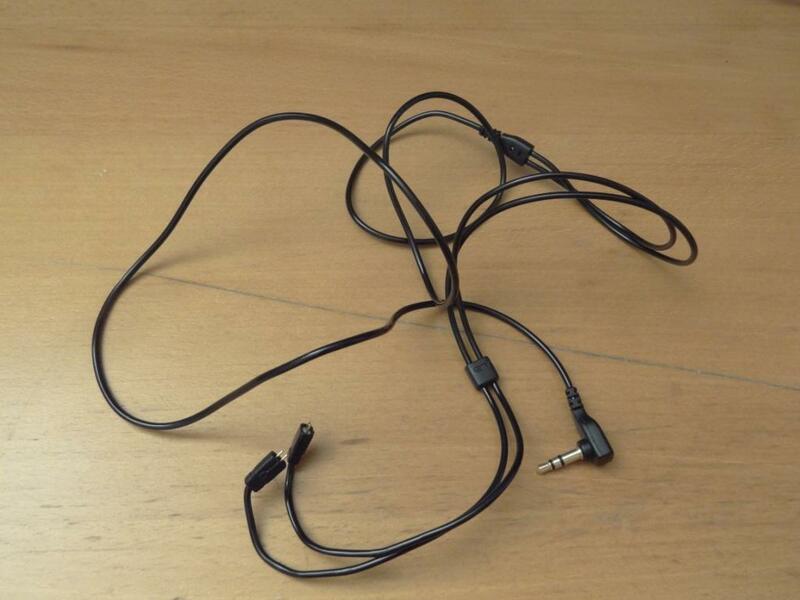 Long story short, my girlfriend couldn’t wear them, I could, but only after 10 minutes of fiddling around just trying to get the cable to sit properly and the earphones to “look properly inserted”. As mentioned briefly above, the ES8 was by a long mile the most comfortable wire. 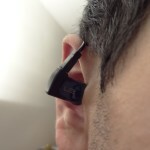 The ear hooks were much more malleable, the cable was much more flexible and soft – which all lead to a better, more comfortable experience. 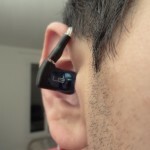 The Silver Ray Cable, was fine, although I felt the metal strips which were located over-the-ear, were a lot too strong for my liking. Granted they stayed on your ears better, but really I don’t expect to be doing back-flips with a set of UE TF10’s on. Challenge not accepted this time, sorry folks! I shoudl also mention, as I did before, that due to the nature of the big war-proof wire, the Silver Ray Cable, was by far the most undesirable to take out-and-about. There is even a warning paper telling me not to bend it or put it in my pocket…As said before, this was not intended for daily use, out-and-about. At home however, brilliant. In the train, in my pocket – impossible. I buy earphones for a reason, and that reason is portability, if it wasn’t for that, I would carry my Denon Ah-D2000’s everywhere with me (they are my favourite audio device I own, that said the PFE 232’s come a very very close second). Now unto the most important category. The sound, the thing that defines whether an earphone is really worth the money. The UE TF10’s are a triple balance armature (3xBA) driver design, which means you effectively get 6 drivers, 3 in each ear, for the money! I’ll split this next section with the respective cables (as they did affect the sound, believe it or not – as I myself was a little sceptical) – soundstage was practically unchanged, so that category will remain the same for all 3 cables. The lows with the stock cable were good, pronounced and extended – they somewhat over-shadowed the mids at times, but that said the mids, both sub bass and mid bass was very good. This is pretty much the first time I felt that a BA earphone performed well in the bass department. The various claims made on some forums were bang on. They provide a nice low end rumble and thunder, that I have never heard of in a BA driver – of course, a dynamic driver, like the CKS77’s puts the TF10 in it’s place, but still, a very good performance nonetheless. The mids and highs I felt were a little lacking, with a very V shaped signature – at first it sounded fine, but then when I put my TDK BA200’s in and my PFE232’s I was asking myself where did all the mids go on the TF10’s!? The TF10’s have a very V shaped signature, almost like the TFTA 1XB’s, which are dominated by a huge mid-bass presence. Regardless, the TF10’s with the stock cable, did a decent job, but not a great job of the mids. Regarding the highs, I felt the 3 BA drivers really did well with the highs – thus why I feel it’s a V shaped type of earphone, as the lows and higs were well pronounced. The lows of the ES8 cable is what made this cable a little special. The ES8 brought out even more lows to the table. I found the lows extended a little more and the mid-bass was more present than with the stock cable. 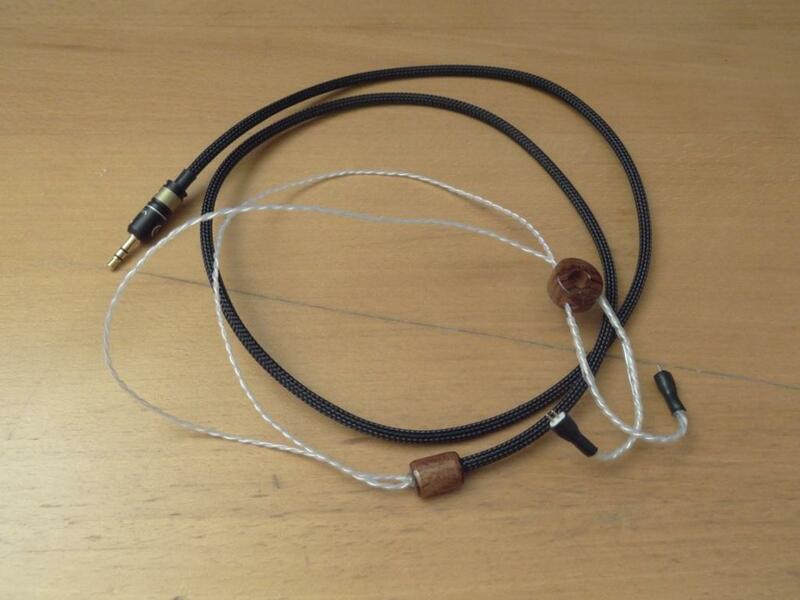 These were definitely the go-to wire for bass. The mids I felt here were even more V shaped (how is that even possible?) – well due to the mid-bass that was added so to speak with the ES8 cable, the mids took a hit too, meaning the sound was even more V shaped and “dark” sounding. Thus I felt that this cables strengths were solely bass. the highs remained, almost unchanged over the stock UE cable. The lows were a little reduced over the stock UE cable, which meant that banging/ringing mid-bass had been toned down – although the sub-bass had remained pretty much intact. I felt that these had a better balance, and almost what BA earphones usually are like – don’t get me wrong, these still were bass-pounding, but not as much as with the UE stock cable. Now here’s the shocker, the mids suddenly became much more up-front, and thus changed the overall sound signature of the TF10’s, from becoming the most annoying cable, to the cable I used solely, during my testing. The Silver Ray Cable, really brought out those mids that I felt were lacking and dark with the stock/ES8 cables. It made the TF10’s much more enjoyable to listen to, as it didn’t feel like it was really missing much, whereas beforehand it felt that there was a huge lack of emphasis on mids. In short this cable brought out the mids, and put them back in perspective with the rest of the frequencies. The highs as well took a nice little boost, although not as a big difference, unlike the mids, it did feel that the highs had been more accentuated – and thus, made the TF10’s again better sounding. Due to the quite big housing of the TF10’s, one would expect the TF10’s to have a nice wide and deep soundstage. What you see is what you get. The TF10’s had a really nice deep soundstage, meaning listening to trance was heavenly, as I could feel the progression of the music literally moving from one driver to the other! I’ll split the ratings for the lows, mids and highs with the 3 cables, as I felt that made a difference to the overall sound signature of the TF10’s. Soundstage however, as said before wasn’t affected. Green will be for the ES8 Cable, Blue for the Stock UE Cable, and finally Red for the Silver Ray Cable. 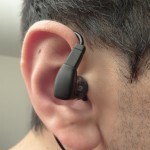 Overall, I really liked the TF10’s, despite their fit and comfort issues (as this depends on a case-to-case basis) the review rating, I felt, really concentrates more on the sound quality, rather than on the fit – of course I took it into consideration, and also took price into consideration thus not giving it a 9.0 rating – if there was also more emphasis on the mids, it would probably classed as one of my best universal earphones I’ve ever heard. That said, with the Silver Ray Cable, which was an additional cost for “some1” I felt really boosted the audio quality of the TF10’s – that said, would I pay say £270 for these? Probably not, as there are many alternatives at that price. Thus if it sounded “this good” for a cheaper price (I’m talking about overall price), thus around £150-200 mark for the silver ray + TF10, then you’de probably get one of the best experiences of sound out there, for a universal “fitting” earphone. Also do bear in mind, due to fit differences it might not fit in your ears at all, nor be suited for you. So, if you are decided to buy this or not, think about the fit especially, before purchasing these earphones! This entry was posted in Audio Reviews and tagged Ears, impressions, Review, TF10, UE, Ultimate on June 2, 2012 by TotallydubbedHD. I’ve heard complains in the past about the suckey quality of the stock cable of these phones. Some said it to be prone to puncturing, and I swear in those reviews I saw the cable’s connector being straight rather than L-shaped as mentioned in this review. But those complains are mostly about 2 years before, so I think UE have listened to those complains. Indeed – I saw several unboxings, before posting this review + pictures of other reviewers or pics on the internet. Are these worthy of your basshead self? Haha. Anyway, I felt the highs with the stock cable were already very good, not harsh, yet able to produce a good amount of sparkle, what UE if often known of. Everyone found the mids lacking, unfortunately. Hehe – well actually, I was pleasantly surprised – remarkably, I’m becoming less and less of a basshead with my ZO2 with me! (ironically enough) – they are bassy enough for bassheads to enjoy them, but as said in the review, dynamics are still the best for bassheads. The mids do lack, but the Silver Ray Cable really helped it out! Then enjoy it while your bass-liking lasts! Along with my Grado GR8’s for him to listen too & which will also make their way to Sonny too.